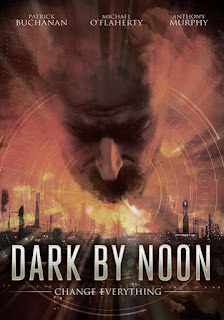 Dark By Noon, an action packed, time-travel thriller stars Patrick Buchanan (Belfast Story) as Rez, a man who has found the ability to leap across time and space where he has witnessed a future apocalypse. Jumping back to his own time-line, and with events now spiraling out of control, Rez has only eight hours to discover the cause and save a city – a city that’s unaware of it's impending doom. Directors Alan Leonard and Michael O’Flaherty weave a taunt, sci-fi thrill ride with Dark By Noon co-starring O’Flaherty (Money Kills, Lycanthropy) and Lesa Thurman (Passenger 57, How To Be Happy). Victoria Dev Ries' (Leilani Sarelle) life is thrown into chaos when her daughter (Mimi Michaels) fails to return home from a camping trip. As a single mother, and former Australian Intelligence operative, Victoria springs into action, stopping at nothing to find her daughter. Victoria's past training becomes an asset when she’s forced to fend off a group of townspeople who hunt humans for sport. Rounding out the cast in an intense thriller that pays homage to Deliverance, Surviving The Game, and The Osterman Weekend, are Eric Roberts, Ted Prior, Sonia Curtis, Vernon G. Wells and Lisa Langlois. 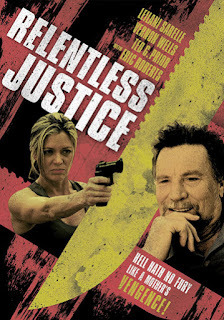 Relentless Justice is written and directed by action film maestro David A. Prior (Deadliest Prey, Raw Justice, Invasion Force).